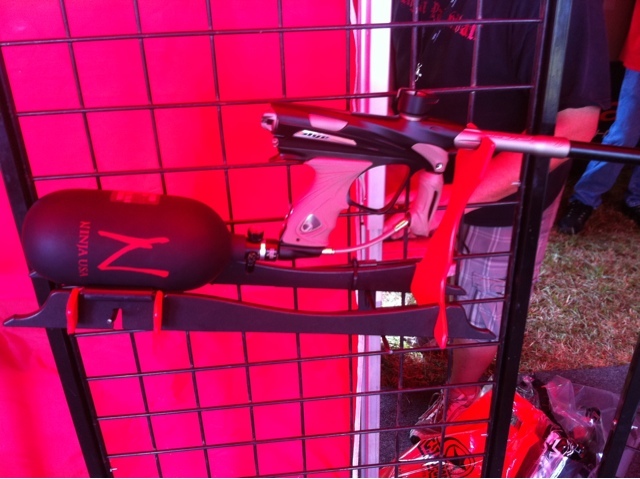 Probably one of the smallest, yet coolest new items premiering at World Cup this year is this: the Ninja Dura air system. 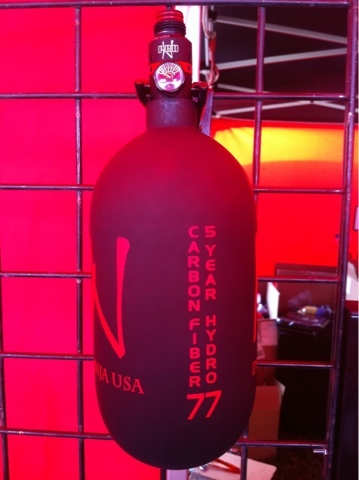 Dura tanks have a protective extra skin with a matte finish. Very cool. Even better than the Dura skin is this: a new tank size, 77ci. This size is just barely longer (about 1") than a 68. The Paintball Sphere has one of these 77ci Dura tanks for field testing now and early reports already show that this is an excellent product, soon to be in stock! 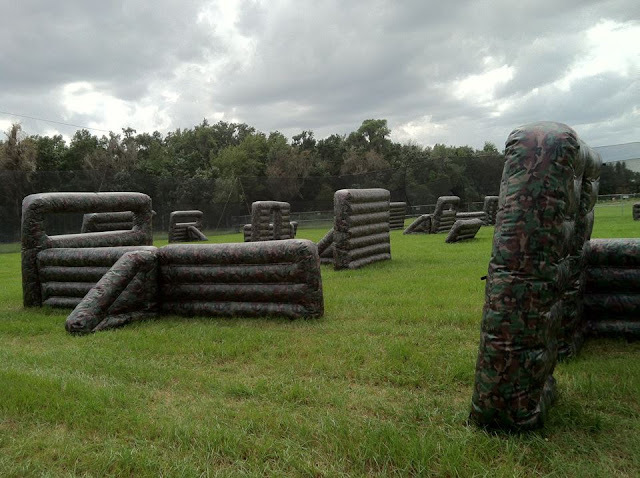 Paintball is headed towards its Superbowl weekend. The PSP World Cup will be held October 25-28 at Fantasy of Flight outside of Orlando, Florida. The Paintball Sphere will be in attendance, checking out all the new 2013 gear. We will also be playing 10-man, for the first time in a decade. Check back here often for pics, specs, and updates on everything new. See something at World Cup you like? 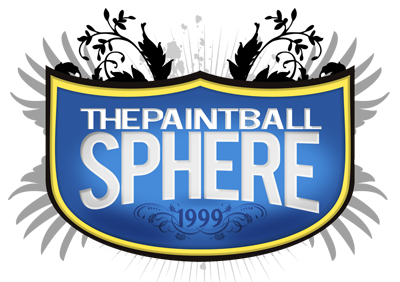 Email us at npatterson@thepaintballsphere.com and we'll see if we can bring it back for you! 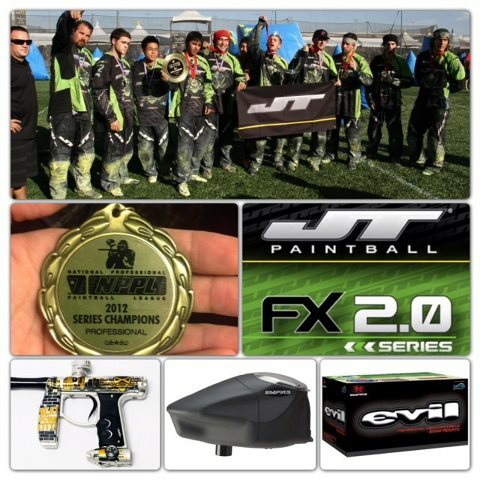 All of the items that XSV used to win the 2012 NPPL title are available from The Paintball Sphere NOW! 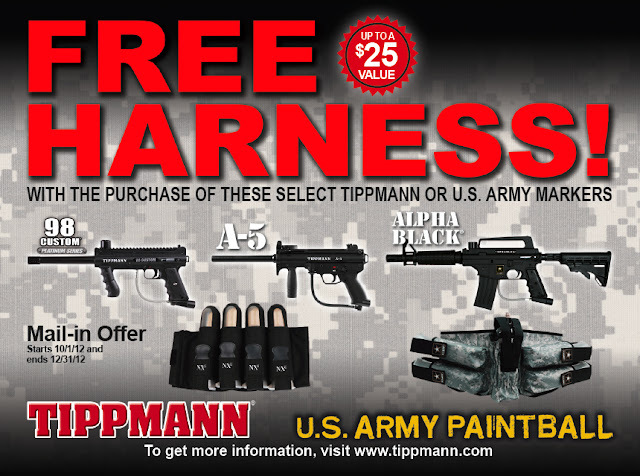 This mail-in promotion offers you a chance to receive a FREE NXe 4 pod harness or the U.S. Army 4+1 harness with the purchase of the applicable markers shown above. This promotion runs October 1 - December 31, 2012. All you have to do is buy one of these markers from The Paintball Sphere. Then, using your receipt and the box with the UPC number, go here to fill out the rebate form online. After that, just wait for your new, free pack!